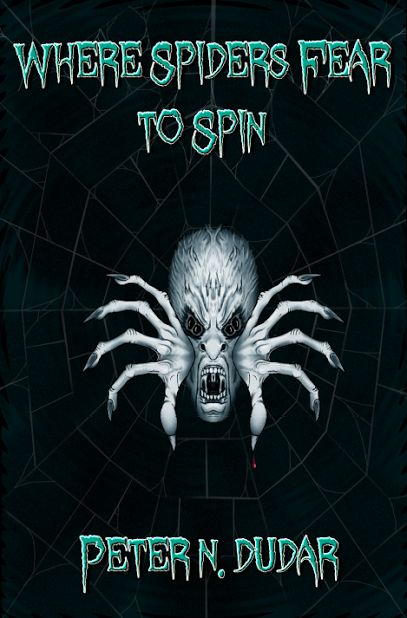 Books & Boos Press is excited to announce that Maine artist Morbideus Wolfgang Goodell has completed the initial design for the cover of Where Spiders Fear to Spin. 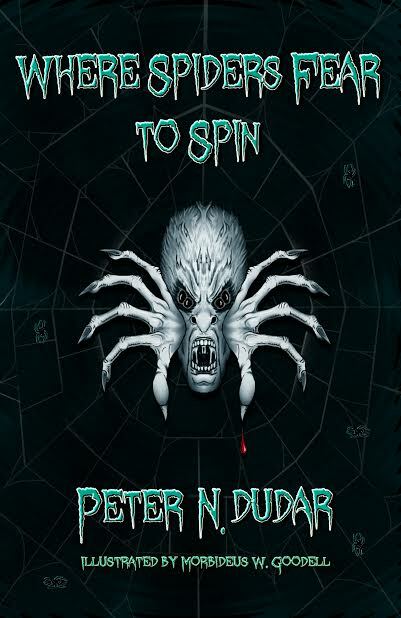 The cover incorporates several facets of Peter N. Dudar’s novella, including the ghost story element, the overall tone of the piece, and, of course, a spider web. Where Spiders Fear to Spin will debut at Anthocon in Portsmouth, NH (June 5–7, 2015). 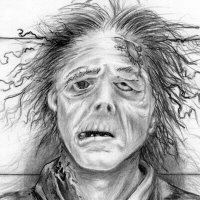 Dudar is a past Bram Stoker nominee (for A Requiem for Dead Flies), and Where Spiders Fear to Spin is his third novella. One of the characters, Abby Cunningham, is based on a real girl of the same name, who won the chance to be in Dudar’s book at a Lisbon Community School P.T.O. fundraiser. In addition, Dudar is generously donating all of his royalties to the Lisbon Community School P.T.O.